The seat of the label Prada is returning to Italy after evidence surfaced that the company transferred Prada Holding, the controlling shareholder of the house, to the Netherlands and Luxembourg to avoid paying taxes totaling roughly £390million, or $532 million. 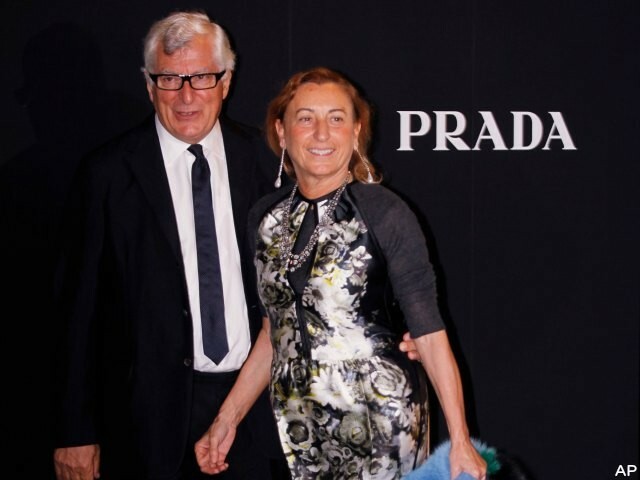 Miuccia Prada, 64, whose grandfather founded Prada, is under investigation, along with company chairman Miuccia Prada, chief executive officer Patrizio Bertelli and accountant Marco Salomoni, for avoiding the declaration of tax claims or making false tax claims. Italy has been attempting to clamp down on tax avoidance, because experts estimated £90billion a year was being lost in undeclared revenues. Last July, designers Domenico Dolce and Stefano Gabbana received one year and eight month prison sentences for non-declaration of income.